Emmett arrived to New Hope with a litter of puppies, shortly after arriving the foster home noticed his skin started to form lesions and he was quite painful. He had been to his veterinarian a number of time to try to determine what was going on with his skin. 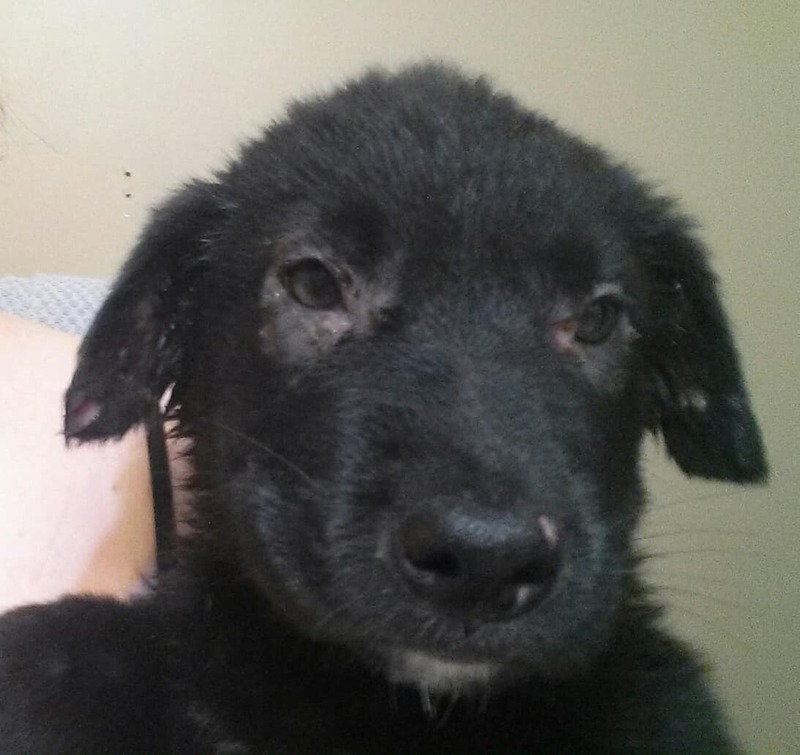 They were not sure if it might be puppy strangles or severe pyoderma. He was treated for several months with pain management to keep him comfortable while his lesions healed. He recently has been neutered and the vets do believe that his weakened puppy immune system is starting to get better. He currently has been started on some medicine to reinforce the skin barrier system. Please consider donating to help with Brownie’s medical expenses. Any donation would be greatly appreciated. Update June 2018, Emmett has successfully found his forever home!